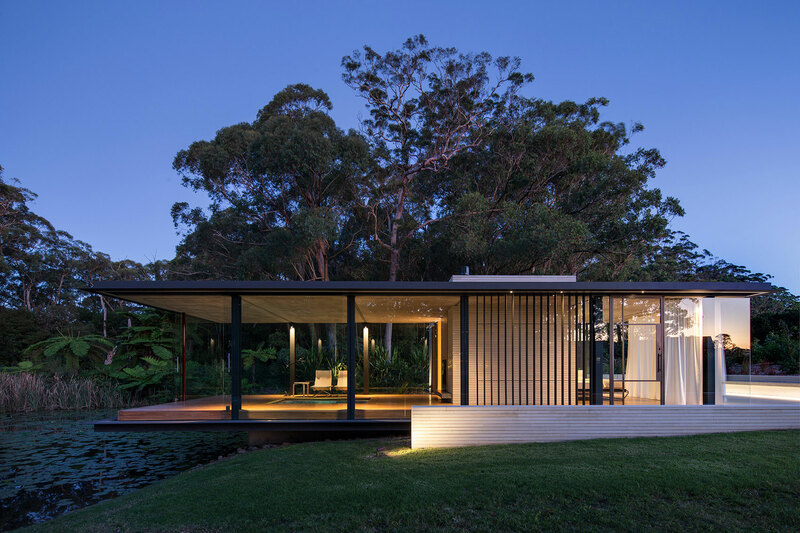 Recipient of the Small Project Commendation Award at the Australian Institute of Architects Awards program 2014 (NSW Chapter). Below is the Jury citation for the project. 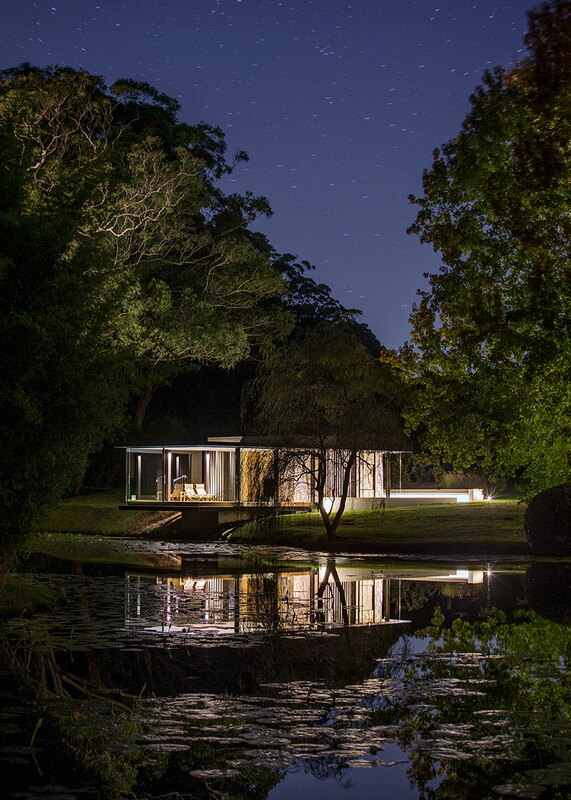 “A glass pavilion on the edge of a natural dam, remote from the main residence, provides a place from which to experience beautifully established gardens and luxurious landscape of this rural property. 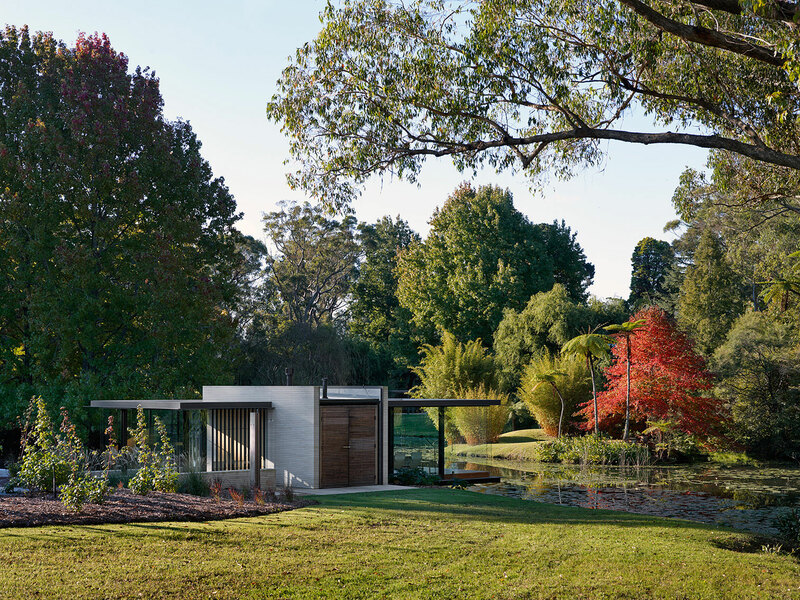 Two rectangular prisms, one glass and one clad in sandstone, form a small structure. 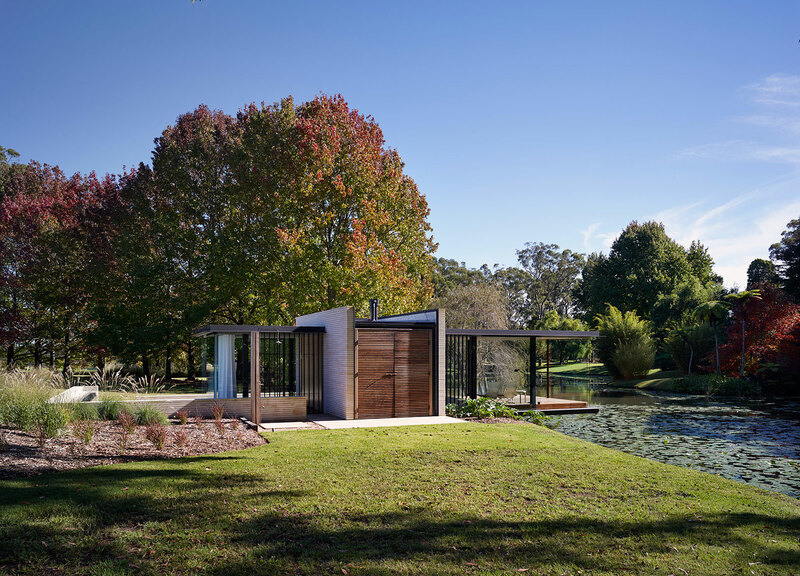 The enclosed stone clad core contains a bathroom, kitchen area, internal and external storage as well as service equipment. 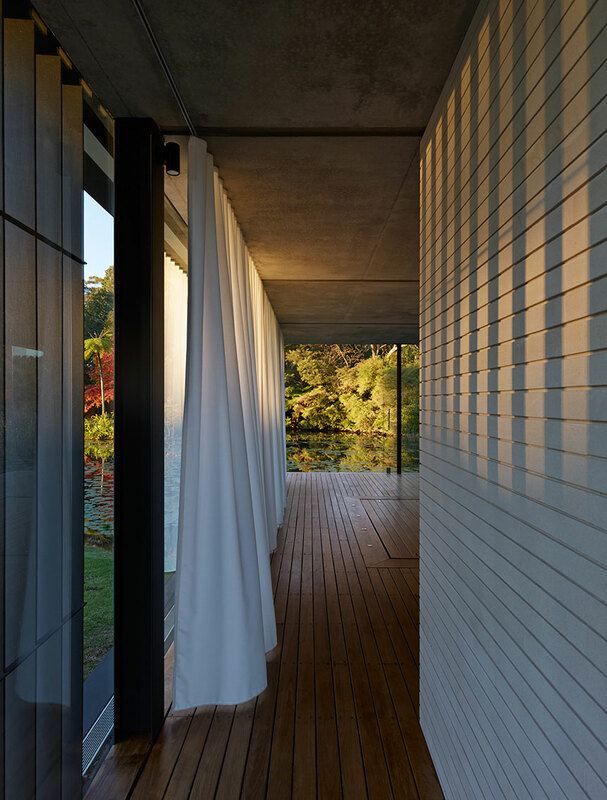 A composite steel and concrete slab volume, with glass walls and ephemeral curtains, intersects this apparently solid mass. 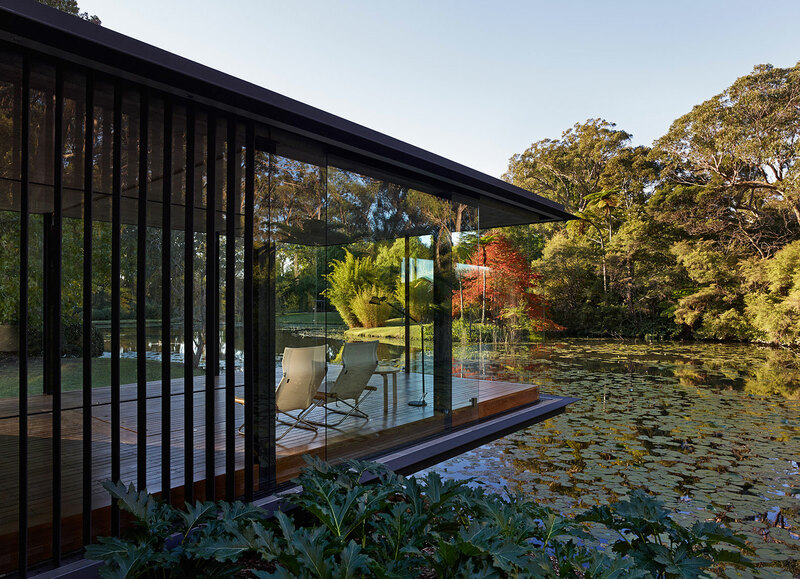 Two glass “rooms” orientated to the landscape are thus created, each with services and storage as a solid “back” wall. 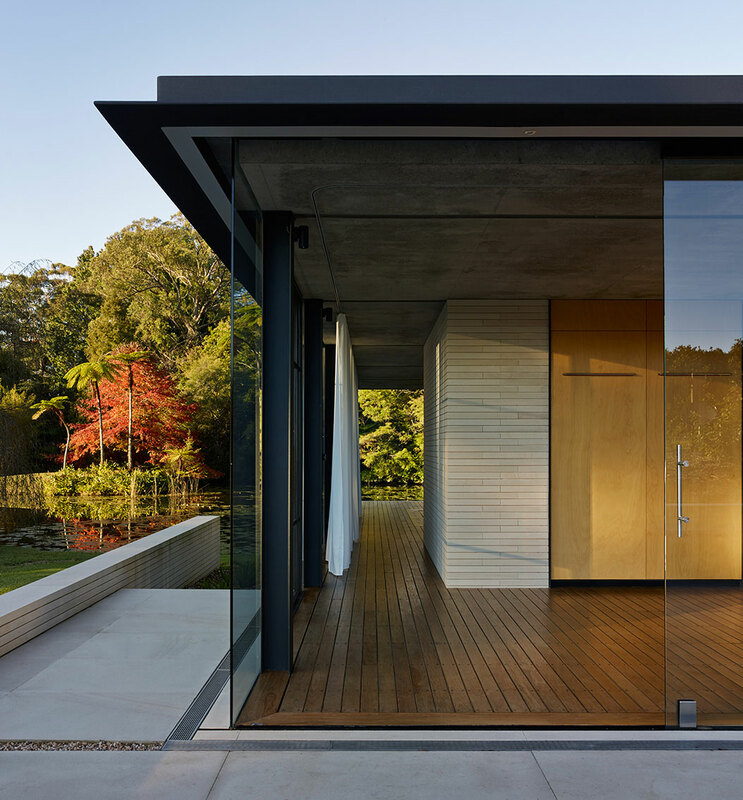 The smaller glazed area locates the pavilion entrance and possible guestroom within. 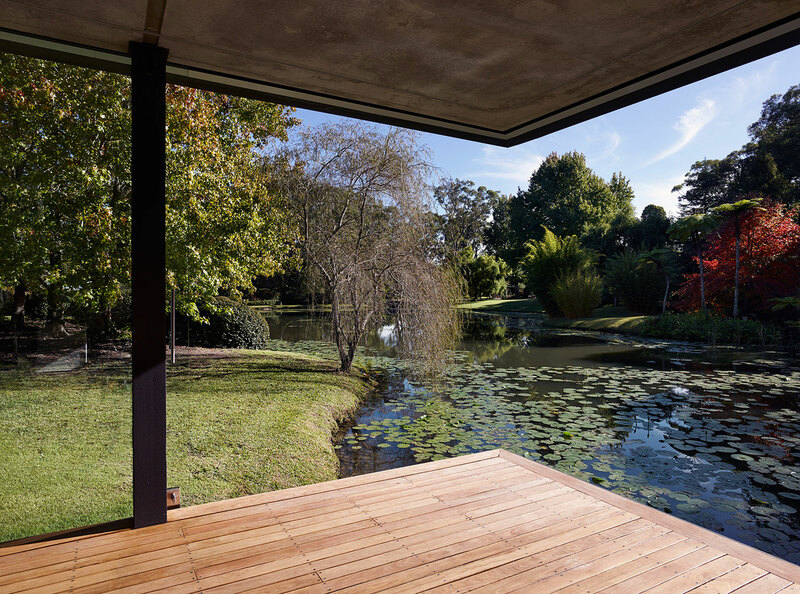 It is situated to suggest a connection with the grounded, external low stonewalls, also creating a protected sitting room when the bed is folded away. 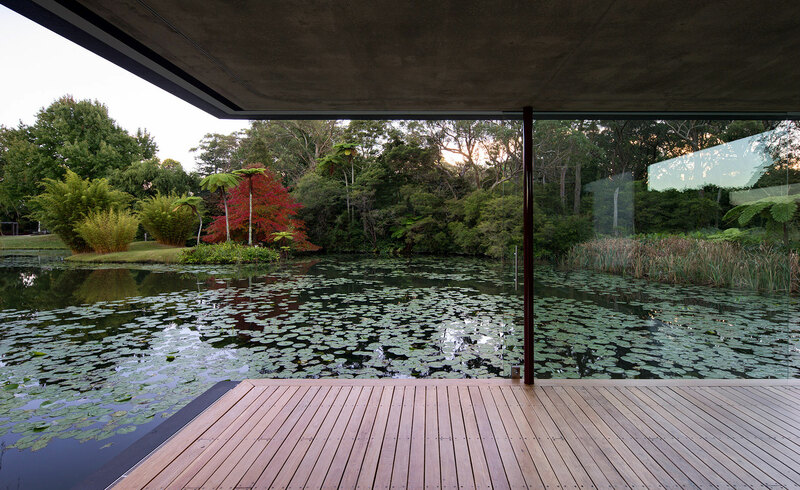 Glazing and curtains slide to the other side of the enclosure, where a major volume cantilevers dramatically over the lilies in the spring fed dam. 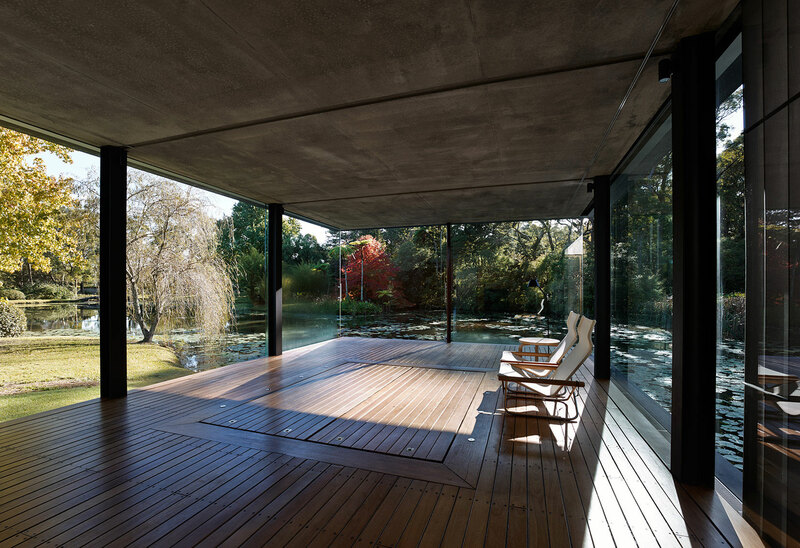 This space offers multiple living arrangements as well as a spa, reached by removing timber panels in the floor.